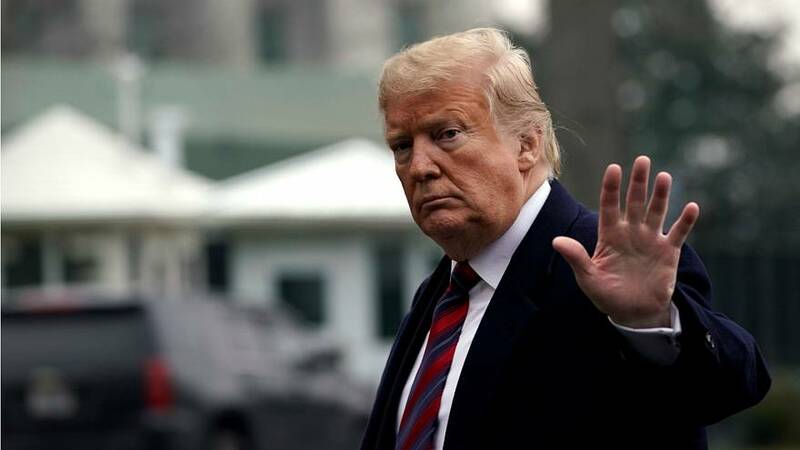 US President, Donald Trump has announced a multi-million dollar programme of aid and protection for immigrants but Democrats say the deal is "unacceptable." Speaking in Washington on Saturday, Trump repeated his determination to spend $5.7 billion (€5 billion) on a border wall with Mexico. Trump said that the Republican leader of the Senate, Mitch McConnell, would now take the plan to the senate floor. But Democrats says talks on border security should occur only after the government is reopened. The government shutdown - now into its 29th day - came after Democrats refused to allow funding for the wall. In a move to pacify the Democrats, Trump's new offer includes protection for immigrants with protected status and three years of legislative relief for so-called "dreamer" immigrants, which would offer temporary protection from deportation but without a path to citizenship. Democrat Nancy Pelosi, the Speaker of the US House of Representatives, has dismissed the offer as "unacceptable", saying is doesn't represent "a good faith effort to restore cetainty to people's lives." Senate Democratic Leader Chuck Schumer said it was President Trump who took away protections for young undocumented immigrants in the first place, so "offering some protections back in exchange for the wall is not a compromise but more hostage taking."